With ten new flight training scholarships just awarded, Able Flight has now reached the milestone of awarding over 100 scholarships since it was founded. 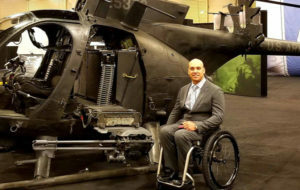 This year’s Able Flight class includes an Army Lt. Colonel wounded in combat, four other veterans disabled due to accidents, and two women. 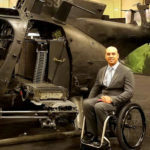 One of the veterans is a former Army helicopter pilot who is now paralyzed and will be returning to flying with his Able Flight Scholarship. Receiving awards are Lt. Colonel Daniel Gade (US Army-retired) of Virginia, Leslie Irby and Ignacio Montoya of Georgia, Will Bucher of North Carolina, Steven Martinez and Samuel Mahoney of Wisconsin, T’angelo Magee of New Jersey, Anthony Radetic of Alabama, Joseph Moncalieri of Massachusetts, and Emily Hupe of California who is returning to train this year after illness forced a delay in 2018.